Aside from a startup’s internal considerations about the right time to raise money, founders should weigh the seasonality of the fund raising market when planning their raise. There’s a rule of thumb batted around the valley that the worst times to raise capital are in the dog-days of summer and after Thanksgiving. As it turns out, this aphorism is only a half-truth. 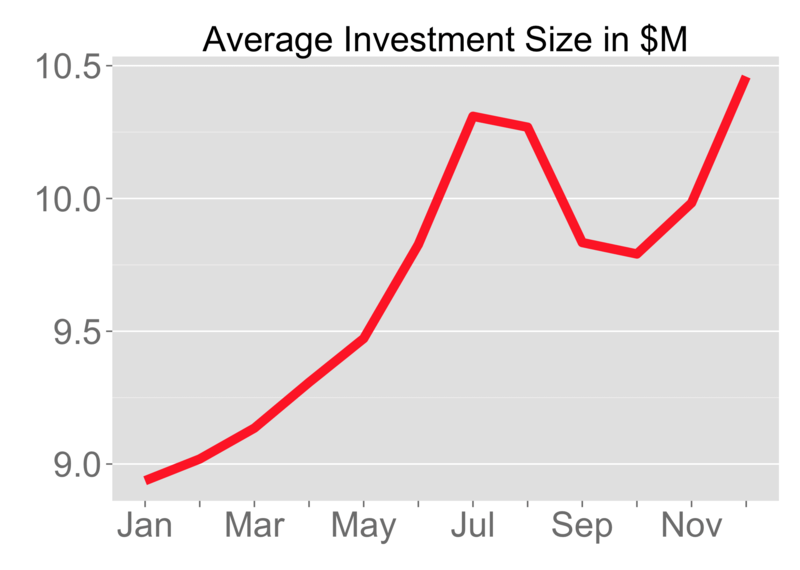 Below is a chart of the dollars VCs have invested by month of year. I’m using Crunchbase data since 2005 for tech companies in the US. There are a few notable trends in the data. First, the impact of the summer is evident. The slowest months for fundraising are January-March and September. I’d estimate there are a few weeks latency in the data between when the investment commitment is made and the investment is disclosed. The legal diligence process of about 3-4 weeks that typically follows signing a term sheet introduces this lag. 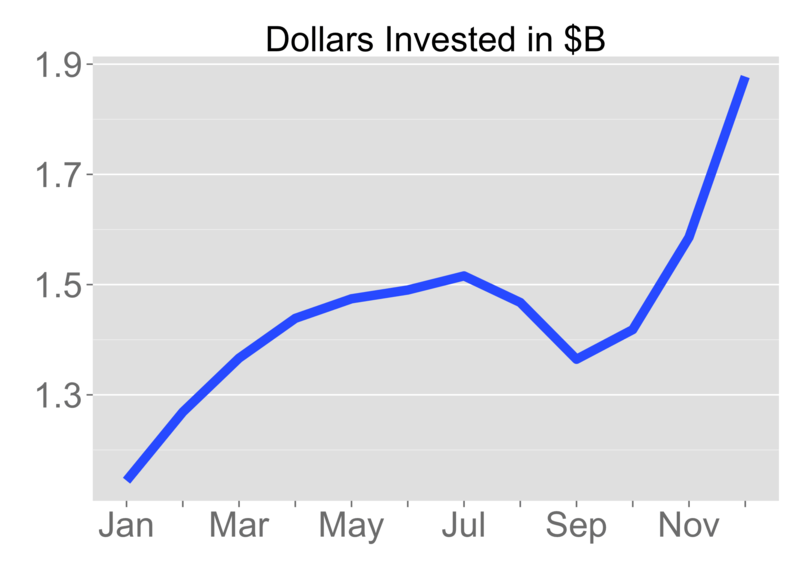 Second, setting aside the slowdown in summer, VCs invest more and more as the year progresses. It’s not crazy to draw a parallel between this trend and the patterns quota attainment for salespeople in which the majority of sales arrive in the last two weeks of a quarter. VCs aim to invest a certain amount of dollars and/or in a certain number of companies each year. The later in the year, the greater the time pressure, the better the motivation. Third, the difference from the best month, December, to the worst month, January, is substantial: a 50% delta in the total dollars invested and 50% increase in the number of investments. These differences are statistically significant with greater than 95% confidence, so seasonality quite clearly exists. This analysis raises another question: is there an optimal time of year to maximize the size of an investment and presumably pre-money valuation? The data shows the average investment size spikes in August and December, both of which have over the past nine years, generated 15% larger rounds. The difference is statistically significant with greater than 90% confidence. Assuming a three month fundraising process, the best times of year to start a financing process is in September, targeting a December close, when investment sizes are 15% larger than average and investment volumes are 50% larger. Starting a raise in May is the second best choice. While the average investment sizes are identical to December, investment pace is much slower, hence a bit riskier.